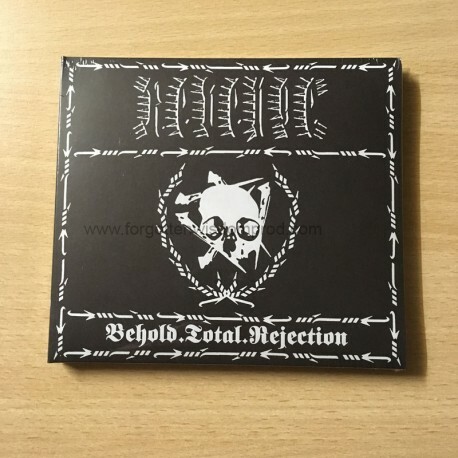 With 'Behold.Total.Rejection', REVENGE have reached a new peak in black violence and raving misanthropy. The Canadians’ fifth album' is arguably the most fervent release and a manifesto of rejection – rejection of the groundswell of mediocrity within the scene, rejection of compromise as a means of embracing of a wider audience, rejection of the dogma and strictures of religion and the trappings of the feeble social slave. 'Behold.Total.Rejection' is a torrential barrage of relentless animosity. No scene. No brotherhood. No remorse.